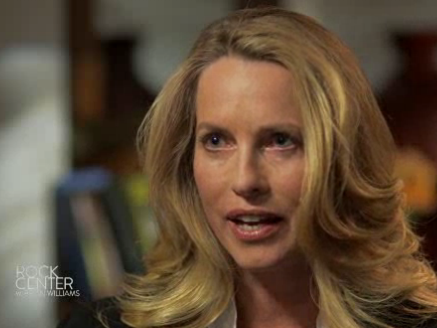 Laurene Powell Jobs appears on NBC’s “Rock Center with Brian Williams” tonight. It’s her first interview since her husband Steve Jobs died. She has a very specific agenda in mind. Along with filmmaker Davis Guggenheim, she’s pushing for immigration reform, and to promote “The Dream is Now,” a documentary about “Dreamers” — young immigrants who live in America and would like to become citizens but can’t. But Jobs and Guggenheim aren’t relying on TV alone — the documentary itself will run on MSNBC this weekend — to get their message out. At 10 pm ET, when “Rock Center” airs, they plan on releasing a flood of Tweets and Facebook posts promoting their movie, and calling for immigration reform. To do that, they’re using Thunderclap, a startup designed solely to promote mass social media messaging. It works by getting Twitter and Facebook users to essentially hand over control of their feeds in order to broadcast a single message, at a given time, for a specific campaign. So far, the “Dream” campaign has signed up more than 700 people to push out its message tonight; Thunderclap says they have a collective “social reach” of 1.2 million people. Does that sound relatively simple, technically speaking? It is, says Dave Cascino, who launched the company a year ago. But while there are other social media tools that allow people to orchestrate similar mass messaging, as part of a broader set of tools, Thunderclap looks like it’s the only company that focuses solely on the idea. Right now Thunderclap is free, but Cascino said the company plans on rolling out a premium version soon with advanced tools. Thunderclap is owned by De-De, a “product development studio” funded by ad agency Droga5.